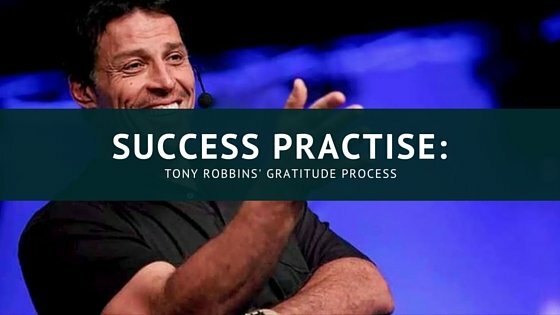 Here’s a powerful gratitude process from Tony Robbins. I’m all for adopting success practises and habits of successful people. It’s why I’ve developed a morning ritual that involves daily meditation as soon as I wake up, followed by drinking water and a journal process. I’ll post a blog post on morning rituals soon. Give yourself 5 minutes now to experience the feeling of gratitude and take a note of how you feel before and after the process. Glad you loved it Mick! Great morning routine too. I was admiring your bikram challenge from afar back when you and Kim were posting about it. Yes, start the day with awesome and you’ll create awesome. A winning formula from the masters! Go Mick!